This is a money saving bundle pack. If you have purchased ANY of my Fall or Halloween products, please do not purchase this pack. If you purchase all of these individually, you would be spending $22.50. 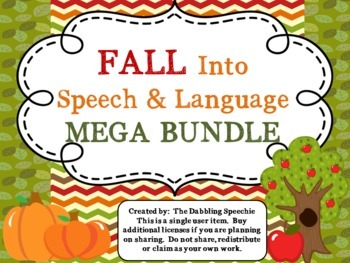 By purchasing this bundle you would be saving 10%. Please email me at: thedabblingspeechie@gmail.com if you have any questions.